The Right to Breastfeed is a miscellaneous law poster by the District of Columbia Office Of Human Rights. This is an optional poster, so while it is recommended that you post this if it is relevant to your employees, you are not required to by the Office Of Human Rights. This poster is optional to post and describes the rights that employees that need to breastfeed their young children have. These rights include where women may breastfeed as well as when employers must allow women working for them to breastfeed their children as well as actions employees may take if they feel discriminated against when following this Act. It appears you don't have a PDF plugin for this browser. 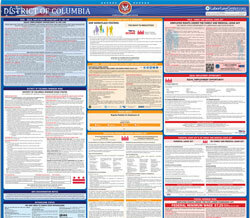 Please see the link below to download district-of-columbia-breastfeeding-dchor-work-placeposters.pdf.